BRUSSELS — NATO has agreed to organize a formal military training mission in Iraq to “project stability” in the Middle East, Secretary General Jens Stoltenberg announced Thursday. 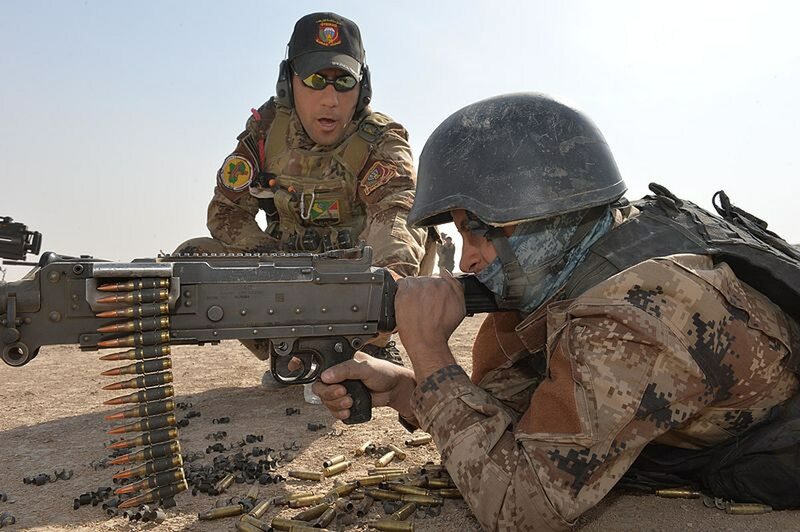 In the past, NATO has had a hand in training Iraqi forces, but in a less permanent manner. The alliance sends “mobile training teams” — groups who visit for a limited period of time for specific training — and some countries also invite Iraqi officers to their nations for training. The alliance trainers will likely focus in areas such as counter-IED, military medicine and logistics, although the exact details of that — along with the size of the training force — will be decided in the coming months. Inferno Creek 18 culminated in a joint assault on an enemy compound and a quick defense against an enemy counter-assault. Stoltenberg also said he would welcome any non-NATO partner nations who wish to help out with the NATO training, potentially opening the door to participation from countries such as Georgia. Speaking after Stoltenberg, U.S. Secretary of Defense Jim Mattis said he welcomed the news. “We believe it is in NATO’s best interests that we project stability” in the region, Mattis said, adding that this training will help give the government of Iraq the “capabilities they believe they need” to prevent another Islamic State group from rising in the future.